Washington, April 16: YouTube's new tool for battling misinformation mistakenly linked videos of the massive fire at Notre Dame Cathedral in Paris to September 11, 2001, terrorist attacks in the US and later issued an apology for the "wrong call". As images of the iconic tower falling played on newscasts around the world on Monday - and on the YouTube channels mirroring those newscasts - "information panels" appeared in boxes below the videos providing details about the collapses of New York's World Trade Center after the terrorist attack, which killed thousands of people. 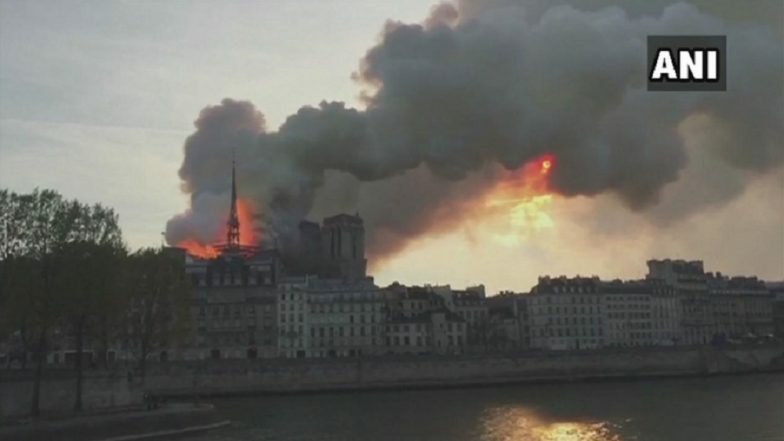 Notre-Dame Cathedral in Paris Goes up in Flames, Know the History And Facts of Famous French Tourist Attraction (Watch Pics and Videos).